Located in Tochigi prefecture to the north of Tokyo, Nikko is most famously home to Nikko Toshogu Shrine, the final resting place of Tokugawa Ieyasu, but this mountainous area also boasts beautiful waterfalls, lakes, and natural hot springs. 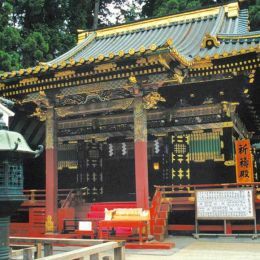 The Nikko Toshogu Shrine is the most famous of the three World Heritage Sites in Nikko, and known for its intricately decorated facade, stunning colors and beautiful architecture. 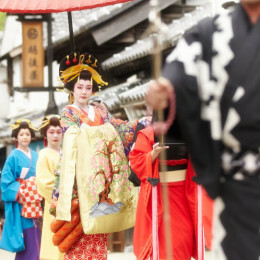 Experience what life was like in the 17th century at Edo Wonderland, where traditional architecture and towns have been carefully recreated to take you back in time. One of the 100 Famous Mountains in Japan, Mt. Nantaisan is a 2,485m volcano within the Nikko National Park, and a place of nature worship. This scenic lake was formed by the eruption of the Mt. Nantaisan volcano roughly 20,000 years ago, and at an altitude of 1,269m it is one of the highest lakes in Japan. At almost 100 metres high, Kegon Falls is a magnificent natural wonder of Nikko, and ranked one of the three great waterfalls of Japan. Senjogahara is a large marshland that is home to more than 350 species of native plants and wild birds, much of which is protected under the Ramsar Convention. The picturesque grassy plains of Odashirogahara lie west of the Senjogahara marshlands, and nature lovers come to admire the unique landscape.